Ryan Sinclair was the first assistant district attorney for the 355th Judicial District Attorney’s Office in Hood County and has previously worked for the D.A.’s offices in Ellis and Limestone Counties. Sinclair is an adjunct professor of Business Administration at Southwestern Adventist University. He is president of the Hood County Bar Association, a member of the State Bar of Texas, National District Attorneys Association, Texas District & County Attorneys Association, and the American Bar Association. In addition, Sinclair is board treasurer of the Paluxy River Children’s Advocacy Center, board member of the Hood County Children’s Charity Fund, and a member of Leadership Granbury. He is a former board member of Preserve Granbury and the Waco Historic Landmark Preservation Commission. Ryan is a terrific young man. His impressive work ethic and commitment to upholding the rule of law and assuring that justice is done makes him an excellent choice to serve on behalf of the people in the 355th Judicial District. “Ryan is a terrific young man. His impressive work ethic and commitment to upholding the rule of law and assuring that justice is done makes him an excellent choice to serve on behalf of the people in the 355th Judicial District,” said Baylor Law Dean Brad Toben on hearing of Sinclair’s appointment. 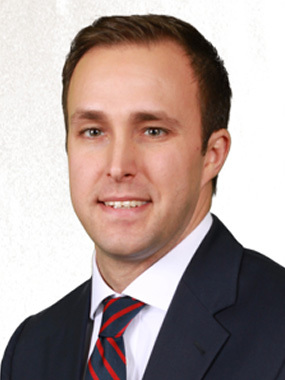 Prior to law school Ryan was an accountant at Texas Health Huguley Hospital in Burleson, Texas. He graduated Southwestern Adventist University with a BBA in Accounting and obtained his CPA license prior to entering Baylor Law. He is married to Danielle, and has three kids: Logan, Abby, and Riley. They are expecting their fourth child soon. Sinclair was administered the oath of office by District Judge Ralph Walton, on Friday, April 5, 2019.